Kolkata: Expelled GJM leader and Darjeeling's Board of Administrators Chairman Binay Tamang has sought the West Bengal Tourism Department's co-operation to organise a tourism festival in the north Bengal hills, a state Minister said on Tuesday. "Binay Tamang from GTA has sought co-operation from us for a tourism festival in the hills. "They want a tie-up with the department. We will have a meeting over this on November 12, in Siliguri," Tourism Minister Gautam Deb told IANS. Deb said his department was also considering to what extent it could support the Bengal Beach Festival in December. The event is scheduled to be held in coastal towns of Digha, Mandarmoni, Tajpur and Shankarpur. "Its happening as a private initiative and we are considering how much support we can extend. They have given a proposal," Deb added. Apart from this, the state government is also organising classical music festival in Bishnupur centred around the Bishnupur gharana of music. 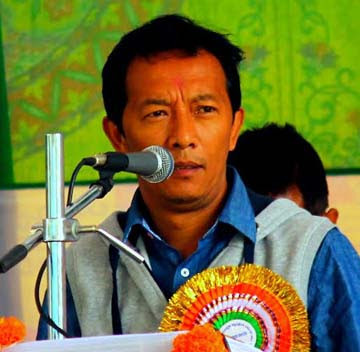 Expelled GJM leader and Darjeeling's Board of Administrators Chairman Binay Tamang has sought the West Bengal Tourism Department's co-operation to organise a tourism festival in the north Bengal hills, a state Minister said on Tuesday.